Syquest 200mb SQ2000 Hard Disk. The image is of a genuine Syquest disk cover. The 200MB was the last in the production line for these disks which was superceded by cheaper media like the Iomega Zip and CD recordable disks. If you need a Syquest 200mb SQ2000 Hard Disk service, then contact our friendly company. Syquest 200mb SQ2000 Hard Disk. 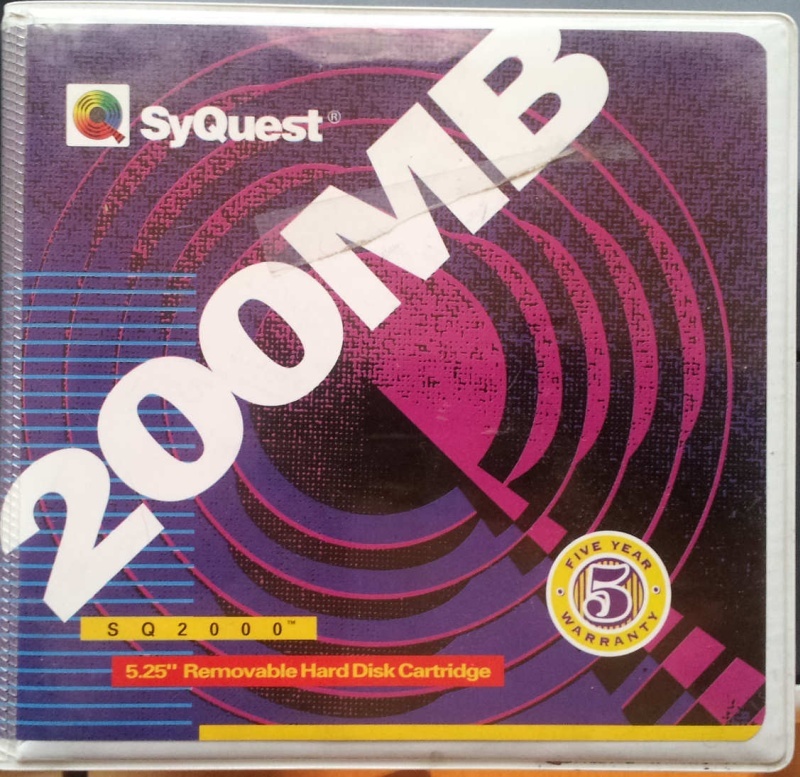 The image is of a genuine Syquest disk cover. The 200MB was the last in the production line for these disks which was superceded by cheaper media like the Iomega Zip and CD recordable disks. .